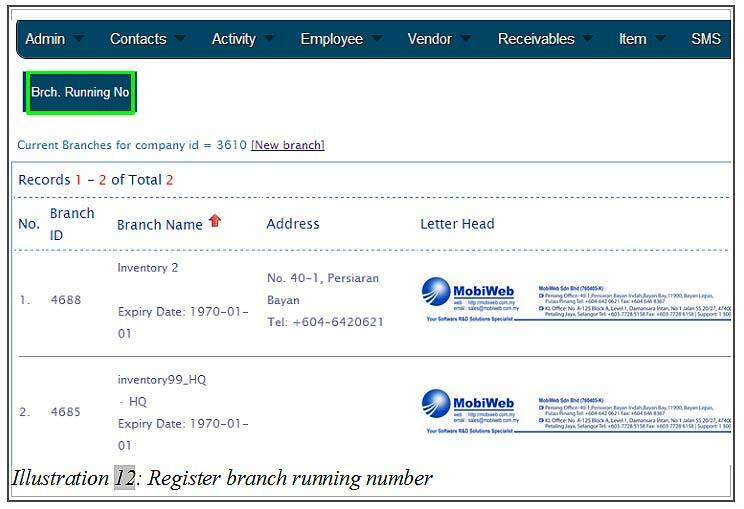 BMO Online Inventory Malaysia allows you to have a running number of the branches. Each running number of the branches does affect the invoices of a company. Without setting up a running number, the invoices created would not be in sequence with branch number code and this would lead to confusion in long term. 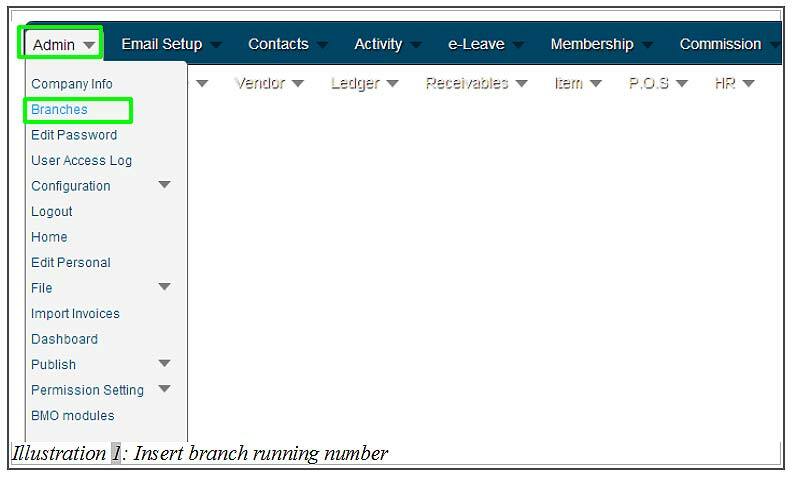 In this tutorial, we will guide you on how to have a branches running number in the system. 1. Go to Admin > Branches . Click on Brch. Running Number as illustrated in the illustration below. 2. You would be redirected to a page. 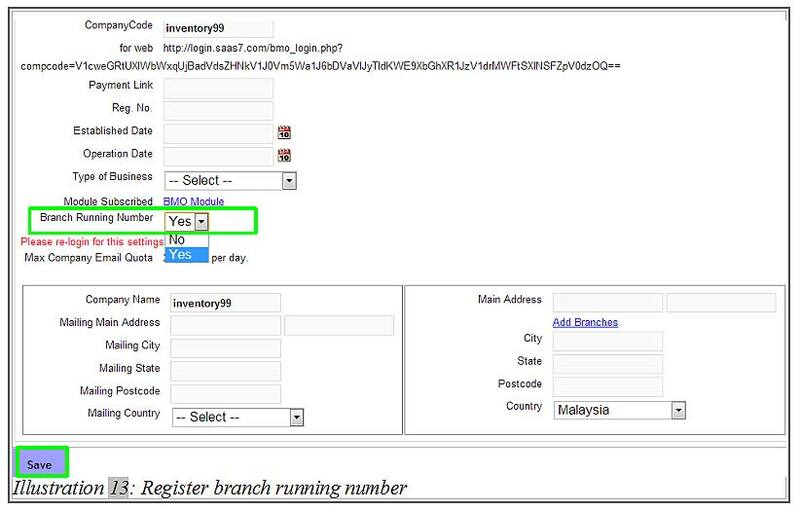 Select Yes to enable the branch running number as shown in the illustration below. Click Save to save the setting. 3. 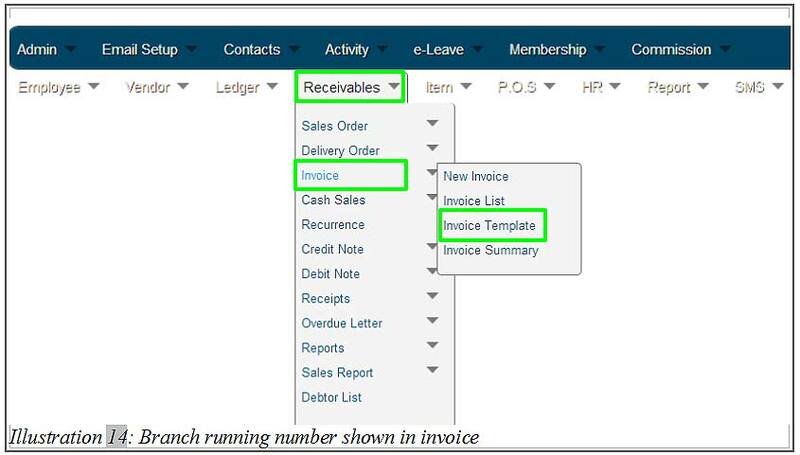 Since the branch running number will be used in the invoices, you could go to Receivables > Invoice > Invoice template to have a look on your invoice running number. 4. 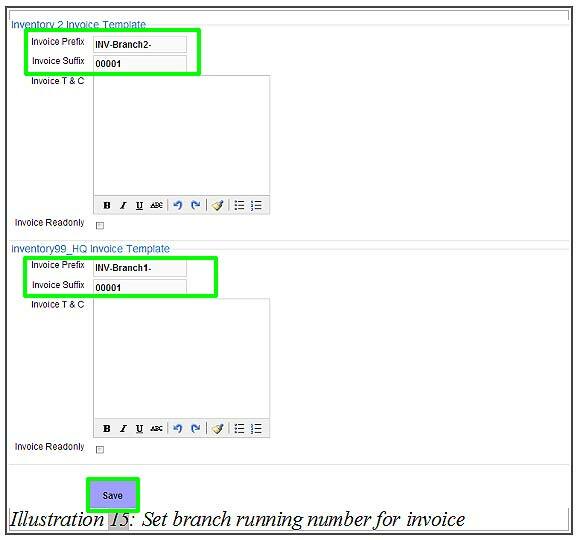 In the Invoice template page, you could set the running number of each branch separately. Save the changes by clicking on Save button. 5. You will be notified that the configuration has been successfully updated.